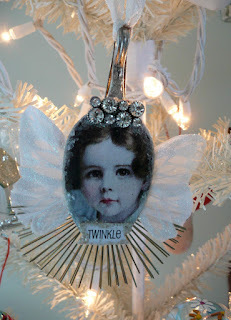 Every year, my friend Natalea Kandefer hosts an ornament swap and I have been fortunate enough to have participated in several of them. 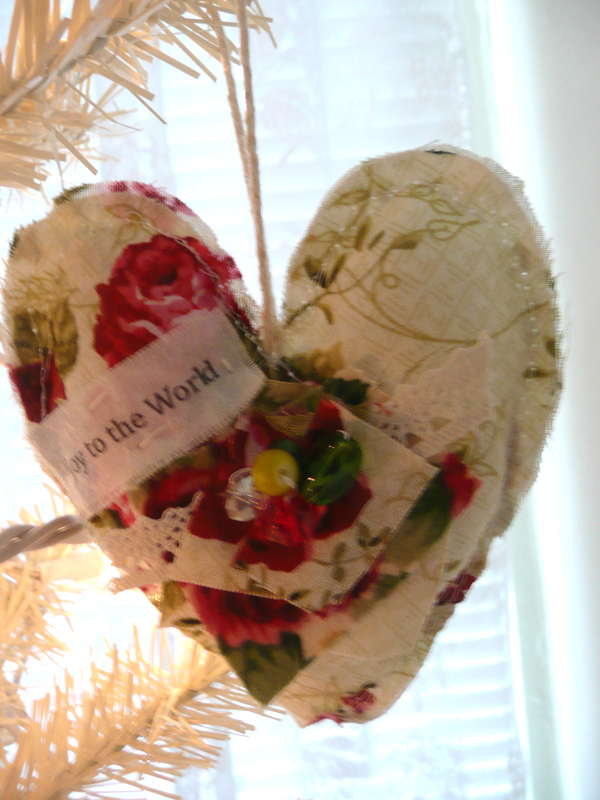 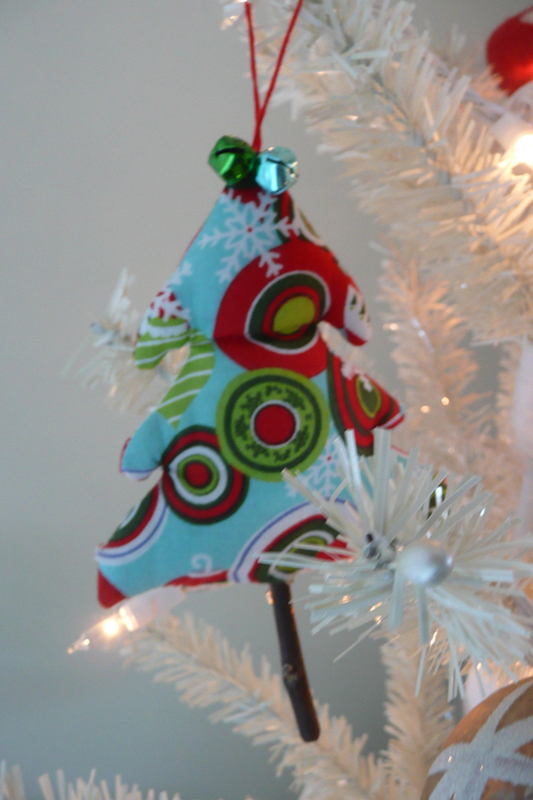 Doing so results in a variety of wonderful ornaments handmade by some very talented artisans. 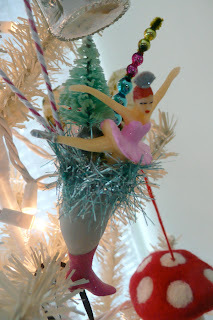 This year in addition to Natalea and myself, participants included Kimberly Laws, Vivian Neroni, Sandy Camarda, Patty Szymkowicz, and Linda Richter. 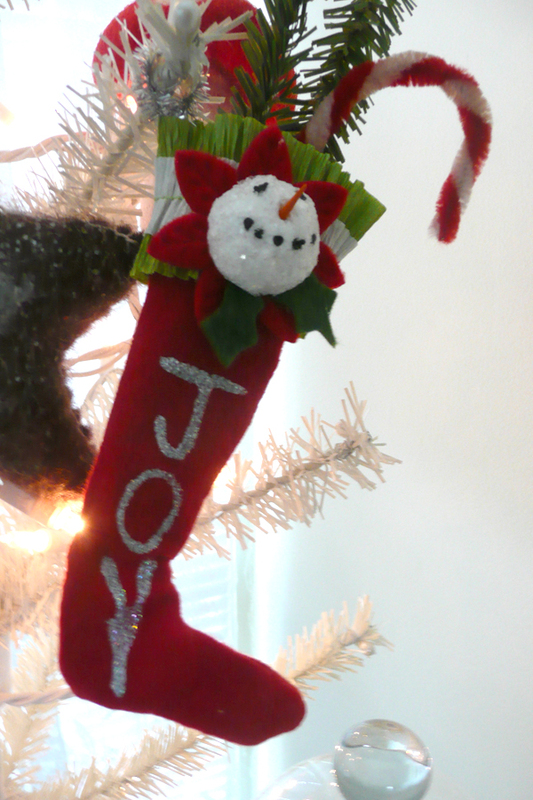 The extra ornament above was created by "Sandy Claus." 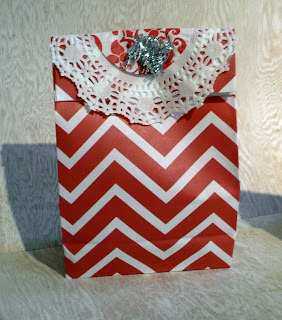 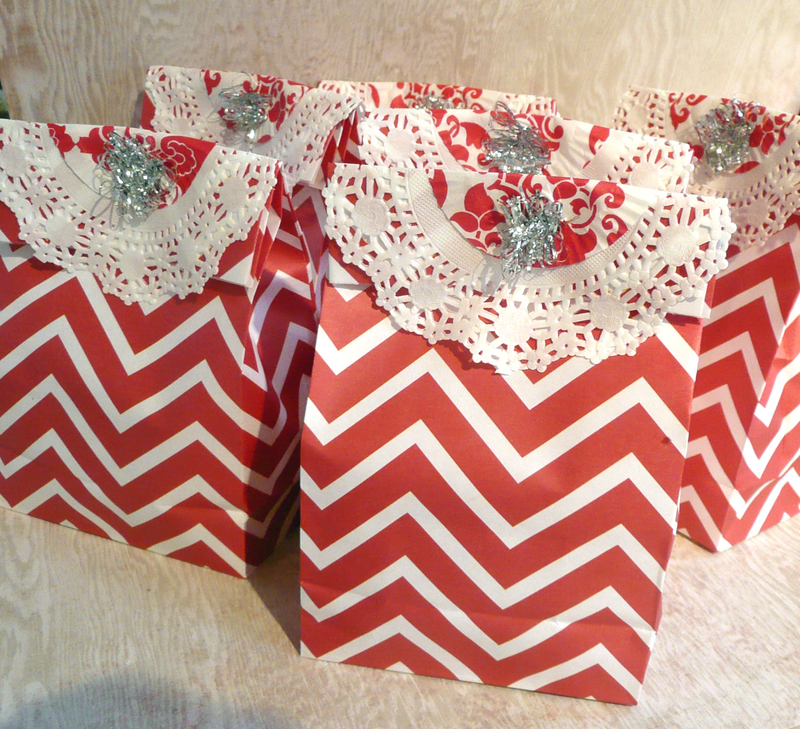 In addition to making some fun ornaments, we all try to package them in pretty wrapping. This is how I wrapped my ornaments. I've been collecting these tiny one-ounce jars of Bonne Maman preserves for a while now and I thought they would be great for making itty-bitty snow globe ornaments. 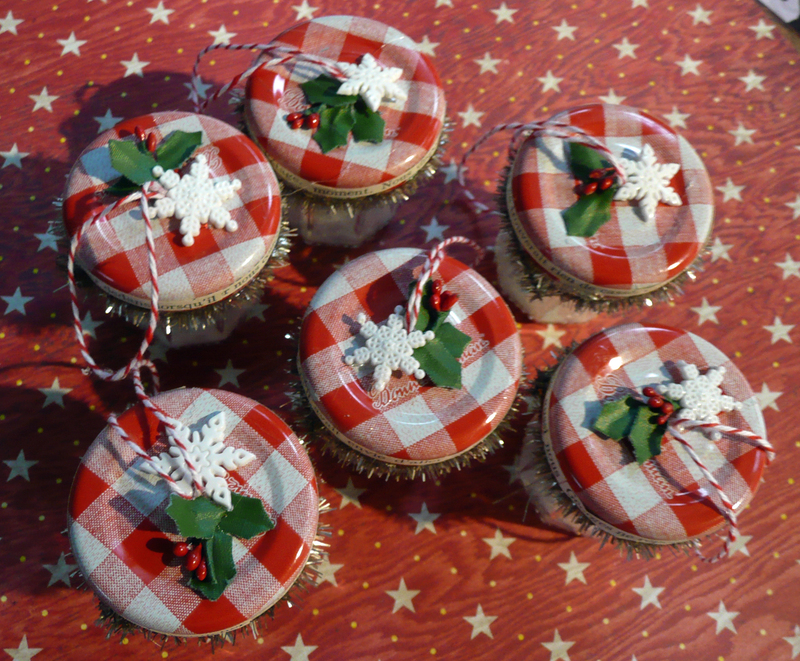 I topped the lids with holly, berries and snowflakes and made a hanger out of red and white baker's twine. 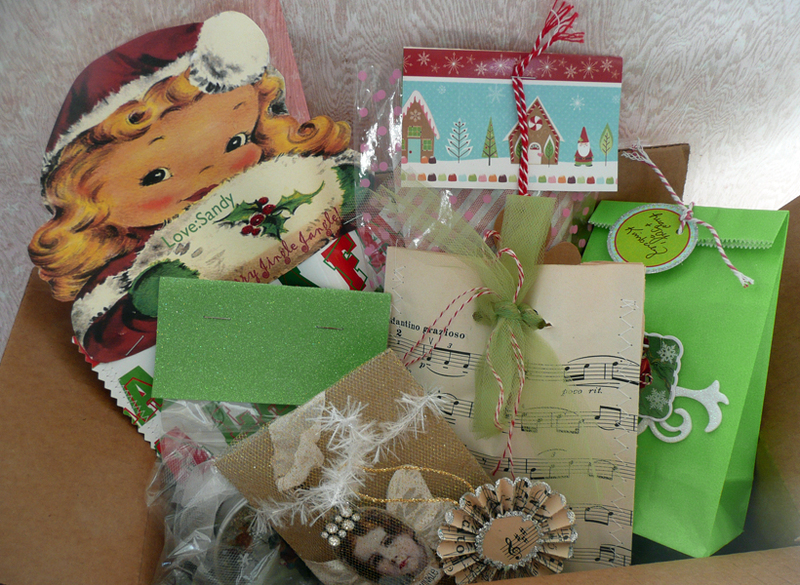 What a lovely swap, with lots of unique ornaments for each of you! 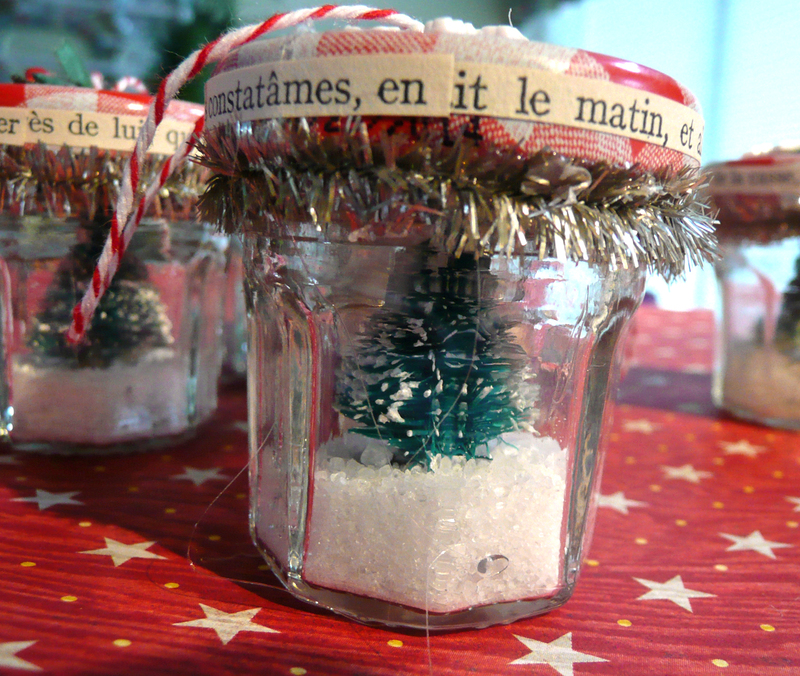 That's such a cute idea you had to use those tiny jelly jars for snow globes. 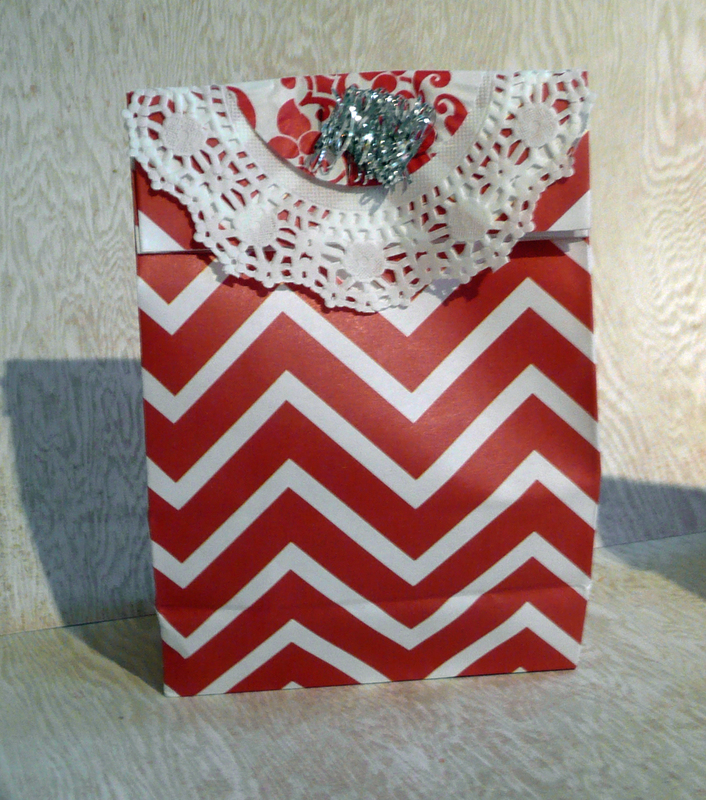 Pretty wrapper too. 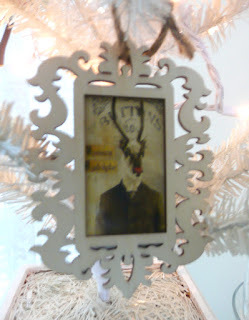 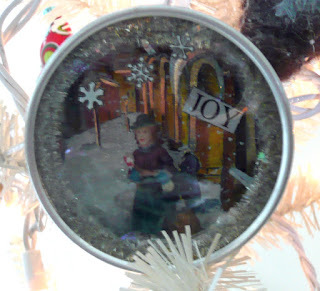 Hello Jeanne ~ I adore the little snow globe ornament you made. 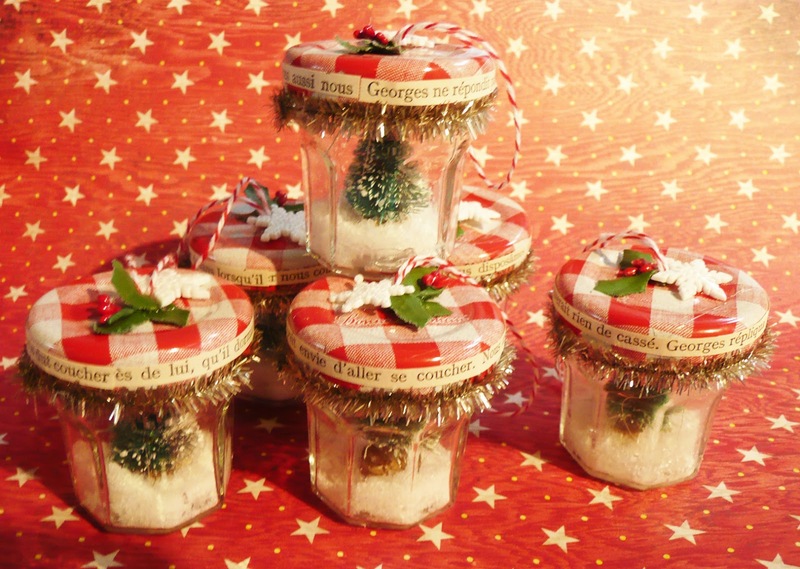 I love the little jam jar scenes! This was a fun swap! I'm glad I made myself do it this year!!!! Have a wonderful Christmas, Jeanne!